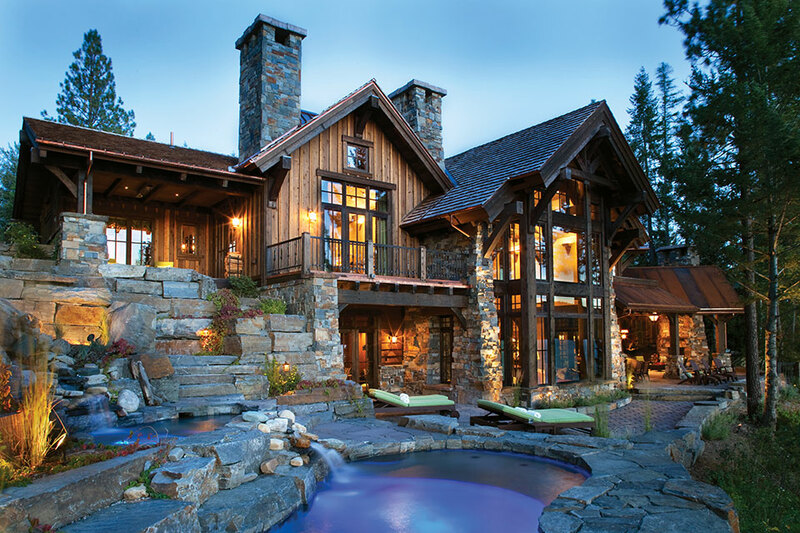 Montana Rockworks provides stone for connecting a home with the surrounding land and to balance the nuances of design, as well as the skilled craftsmanship and exacting cuts that maximize each stone’s beauty and functionality. Since forever, we have built our homes from rock and found artistic expression in working with the endless variations of stone. Stone is the most natural building material, and as design professionals recognize, it connects a home to the land and the greater environment. Because stone is formed by a unique geological history, each piece of stone is different and each tells a story. It is the nature of stone to reflect strength, stability, presence, texture, and subtle variety. 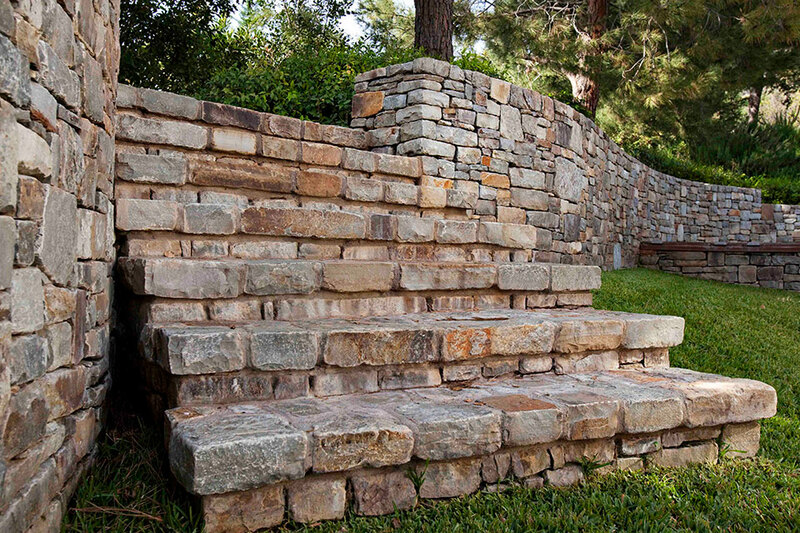 Professionals designing and building mountain homes recognize the importance of finding and using the right stone for their creative efforts, and they acknowledge how important it is to partner with rockworks professionals who can provide the stone they envision to implement the design. Their expectations for stone and the functions stone serves may vary by professions, but the commonality they share is recognizing how valuable a partner Montana Rockworks is in how they create and build. Tyler Frank, a project manager with Malmquist Construction in Whitefish, offers his views on the role of stone in today’s home construction. Tyler Frank finds that stone drives the overall design of a home. “When clients find a stone that they like, often times it dictates the siding product and color, roofing color, post and beam sizes, and many other architectural components of the home to create a well-balanced façade.” He notes that the native landscape in which the building is located may determine which stone is used on the project. Hunter Dominick, a noted local interior designer and owner of the design store Hunter & Company Interior Design, speaks about stone’s role in creating today’s interiors. In specifying and procuring stone, the right stone supplier is critical. “We ask, do they carry the style or the size of material that we are considering to create a certain look?” Because the answer is yes, Hunter & Company depends upon Montana Rockworks to source the right material. Johnny McDonald, ASLA, is senior designer with White Cloud Design, Inc., a full-service landscape planning firm in Whitefish. He offers his thoughts on the use of stone in landscapes.